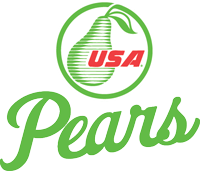 USA Pears is proud sponsor of Torin Koos, a two-time Olympian who grew up in Leavenworth, Washington. For those of you who aren’t familiar with the area, Leavenworth is located about 20 miles northwest of Wenatchee, in the heart of this major pear-producing region. Check out some of Torin’s stats, and look for more about this pear-loving athlete as he trains for the 2010 Vancouver Winter Olympics! This entry was posted in Uncategorized and tagged athlete, pear growers, Torin Koos, Washington pears by Jenny. Bookmark the permalink.